Felix Rosenqvist will team up with Formula 1 driver Lance Stroll and a further two top-flight names of international motorsport in an exciting assault on January’s Rolex 24 at Daytona sportscar classic in the USA. In addition to Stroll and Rosenqvist, the line-up will include Robin Frijns and Daniel Juncadella aboard an LMP2 car entered by the Jackie Chan DCR JOTA team. The quartet will be up against the regular top crop of American motorsport at Daytona, but will also face high-profile competition from double F1 world champion Fernando Alonso who is set to race another LMP2 machine. 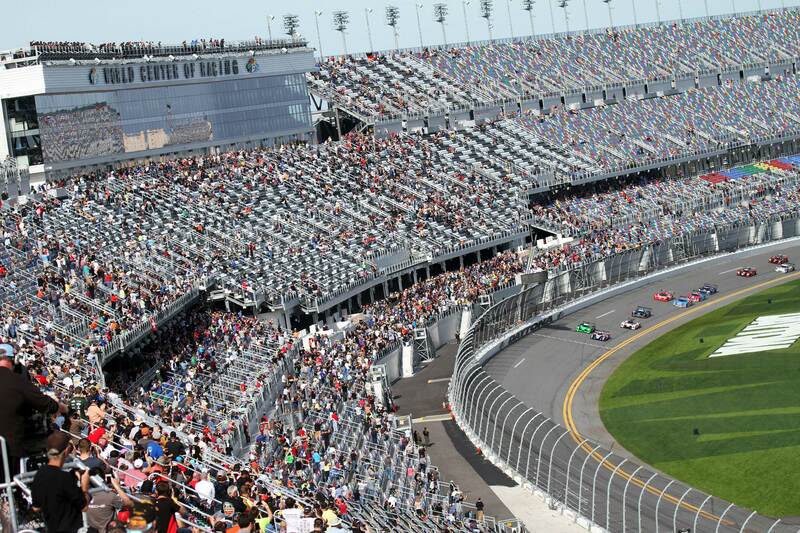 The Rolex 24 at Daytona is America’s biggest endurance race. Staged at Florida’s Daytona International Speedway, the first edition of the tradition-steeped 24-hour event took place in 1966. Rosenqvist, Stroll, Frijns and Juncadella are all familiar with each other. Stroll and Rosenqvist were team-mates in the 2015 FIA Formula 3 European Championship at Prema Powerteam where Rosenqvist took the title, a feat which Stroll duplicated a year later. Stroll has had an impressive rookie season in Formula 1 this year, accruing multiple points’ finishes and a podium position at Baku in June with the Williams Martini Racing team. His accomplishments this season include the two records of being the youngest-ever front-row starter of an F1 race and the youngest rookie to ever stand on an F1 podium. Dutchman Robin Frijns is a factory-supported Audi driver, who – like Rosenqvist – has cultivated a glittering reputation on the international racing scene. Frijns is a former Formula BMW, Formula Renault 2.0 and Formula Renault 3.5 Series champion, and has most recently raced in the FIA Formula E Championship and aboard a GT3 car for the Belgian Audi Club WRT squad in the Blancpain GT Series, winning the 2017 Sprint Cup title. Daniel Juncadella comes to Daytona with Jackie Chan DCR JOTA as a factory Mercedes driver who has competed predominantly in DTM and GT3 over the past few seasons. Like Rosenqvist, the Spaniard is also a former FIA F3, Masters of F3 and Macau Grand Prix champion. All four drivers have endurance racing experience, but Rosenqvist and Stroll are the only ones with race knowledge of the world-famous Daytona International Speedway. Jackie Chan DCR JOTA has made a major impact on global endurance racing since its inception early this year. A headline-grabbing performance at the Le Mans 24 Hours last June saw the Chinese-entered team lead the race overall for several hours, before going on to finish second and third. Wins at Silverstone and the Nürburgring ensured a runners-up position in LMP2 was confirmed in their rookie season in the FIA World Endurance Championship. JOTA Sport, the operational experts behind the Jackie Chan DCR JOTA squad, has achieved success in all spheres of top class international sportscar competition since they were formed in 2000 – including the 2014 Le Mans LMP2 crown and the 2016 European Le Mans Series title. The 2018 Rolex 24 at Daytona is set to boost its most competitive grid in recent years. Jackie Chan DCR JOTA will go up against multiple manufacturer entries including the likes of Mazda Team Joest and Acura Team Penske, as well as former winners Tequila Patron ESM and Wayne Taylor Racing. The race will take place over the weekend of 27-28 January. The traditional “Roar Before the 24” test at the Florida venue will be held over 5-7 January.